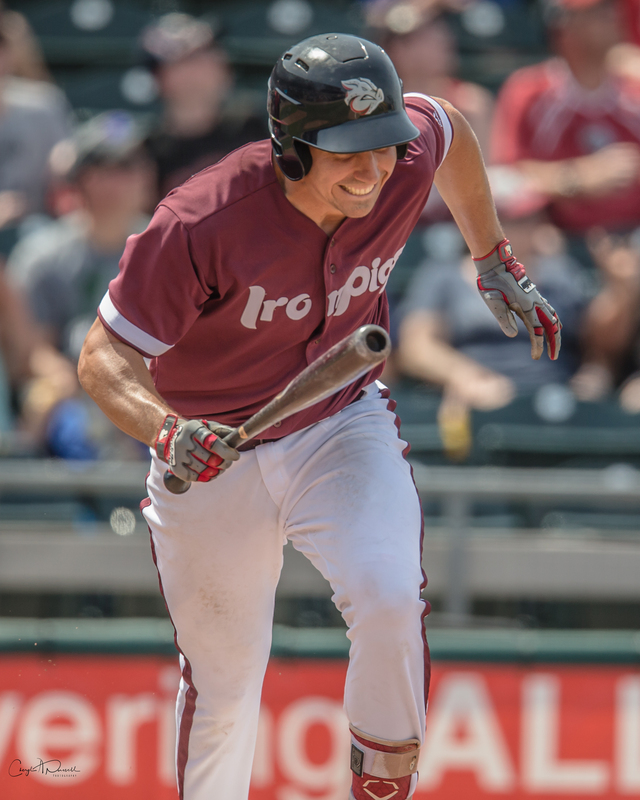 The 2018 IronPigs–the 11th local incarnation of the AAA Phillies in the Lehigh Valley–are 40-29 at their second June off-day. After Tuesday’s game they will be exactly half-way through their 140-game campaign, and have a chance to best their season-long high-water mark where they sit now: 11 games above .500. They also sit 3.5 games ahead of Buffalo in first place in the International League North division. This is the point where the scribes start to hand out “grades.” As I’ve written before, I always find those articles to be arbitrary, baseless and derivative. But still, half way is a milepost, and it’s a nice time to look back on what happened during the first half of the season–as well as what we can expect in the second half. Where would I put my money? Which units am I buying and which units am I selling? While we’ve been told over the years that we’re “not worried about the results” and more recently, that AAA baseball is a “completely pressure-free environment” I just don’t buy it. They still turn the scoreboard on every game. Winning is still more fun for the players (not to mention the fans) and coaches compared with losing. Individual performances are still observed and measured. And, from what I’ve heard and observed, this is a pretty strong clubhouse in terms of the veterans and some of the younger players: They all want to play with and for each other and nobody wants to be the weak link. So with that part established, we’ll put money into the equation. Not real money–but if you had to invest your cash in the players and the squads on this team, where would you put it? What’s the outlook for the future of each unit, as well as the possibility that some of these guys will go on to help a Phillies team that currently holds a winning record? Where are the units who may get help from Reading in the second half? 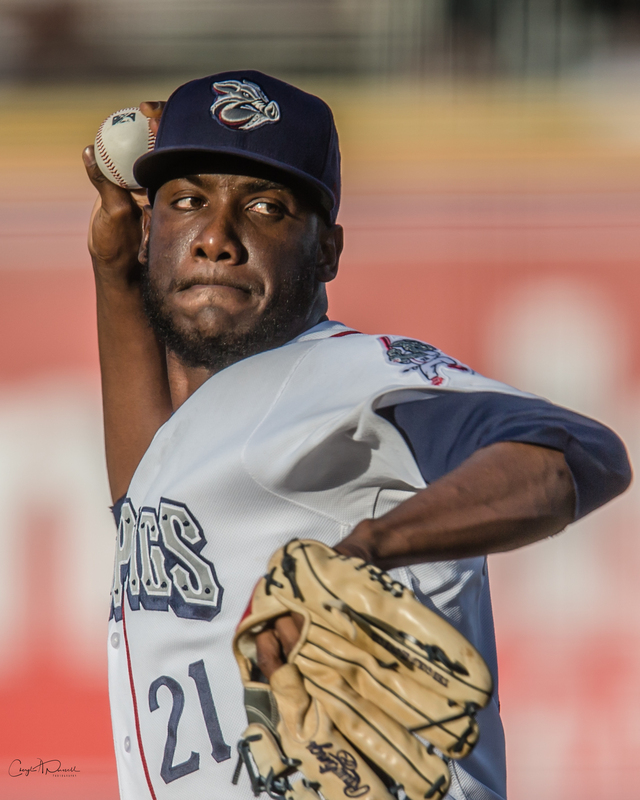 Performance: I wrote before the season started that the key to the IronPigs 2018 campaign would be the starting pitchers. Indeed, we began with a strong staff and they have performed at or above expectations in most cases. Enyel De Los Santos and lefty Cole Irvin have been the leaders of the group, and should find themselves in the AAA All Star Game if they so choose. Zach Eflin has pitched here when healthy, and has moved on to the Phillies. Ben Lively started with the Phillies, was injured for a time, then returned with the IronPigs as his usual “bulldog” self. Lefty Brandon Leibrandt has filled in admirably when asked to start. 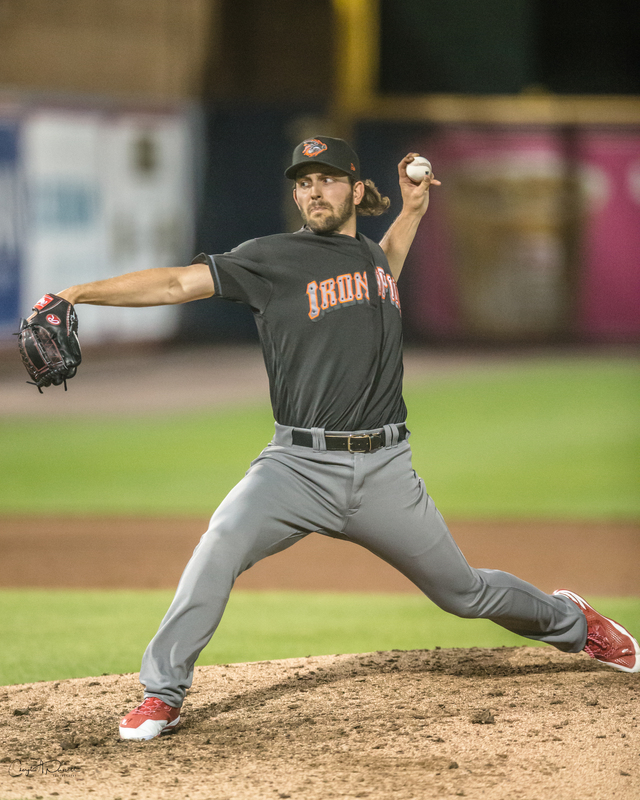 Jacob Waguespack has had some struggles and has been bounced around a bit between starting and the bullpen and Reading, but he’s still the guy who held Scranton to one run in a playoff game last September. Indeed, this is the backbone of this team right now. Pitching as a whole is ranked second in the IL in ERA, and first in WHIP and first in shutouts. The starters have been a large part of that. Potential For Growth: While Jerad Eickhoff may or may not come back to the Phillies, there could still be the need to improve the major league rotation at some point over the summer and into the fall. Enyel De Los Santos and Cole Irvin look to be at the forefront of such a call-up should it be necessary, as they seem to have earned that shot already. Ben Lively is still on the 40-man. There’s also been some noise on the blogosphere about Anderson or De Los Santos going to try to help the relief corps for the big team. Should reinforcements be needed from Reading, upper-level prospects such as leftys JoJo Romero and Ranger Suarez, or RHP Franklyn Kilome could be promoted–the leftys seem to be at the forefront of that threshold right now. Rating: STRONG BUY I’m pushing my chips to the center of the table (too many metaphors?) with this crew. Even if they don’t look completely ready, I think those kids in Reading could come up and do a good job in AAA. Plus, I sure like going to the park every night knowing that I have an interesting starter to watch. Lately, the weakest link has been Tom Eshelman–and he’s shown signs of life of late as well. Performance: Since Jesmuel Valentin was called to the majors following Pedro Florimon’s broken foot, the infield has been manned by accomplished veterans like Dean Anna, Alexi Amarista, Trevor Plouffe and Matt McBride. These are all guys who’ve been able to hit AAA pitching in the past and have MLB experience. 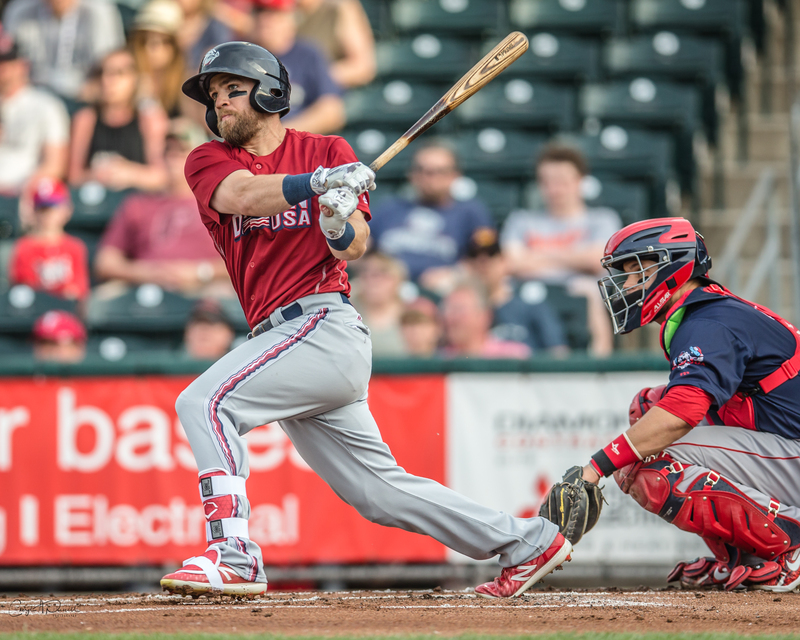 Third baseman Mitch Walding has been holding his own at the hot corner, hitting for power like he did in Reading and even earned is first shot at the show. It didn’t go well, but he’s back to work on the strikeouts and continue to rack up the walks. The other surprising piece is former Braves farm-hand Joey Meneses. While he’s cooled a bit lately, he’s been a real find adding power and batting average to the lineup. Potential for Growth: While the starting staff may be the “backbone,” this squad is the guts of the team. While I expect them to be with us and grinding away for the remainder of the season, the amount of MLB experience suggests they’ll be ready to contribute in Philadelphia if need be. I don’t see any immediate promotions from Reading, although Jesse Valentin could return from the majors if Pedro Florimon heals quickly–and Will Middlebrooks could join the squad if his broken leg heals in time. Walding and Joey Meneses could see time in the corner outfield spots to increase their versatility. Rating: BUY Watching the young prospects come up is always fun, but I have no problem cheering for the veteran guys who play hard every day, either. I’m buying stock in this crew for the remainder of the 2018 campaign. Performance: The prospects in this group are Dylan Cozens and Roman Quinn–unfortunately both injured as of this writing. Cozens may be ready to return from a quad, soon, but may also be needed in Philadelphia pending the condition of Nick Williams’ nose. Quinn should return from finger repair later in July. In the mean time, MLB veterans Collin Cowgill and Adron Chambers have been playing hard and contributing regularly. Andrew Pullin retired. 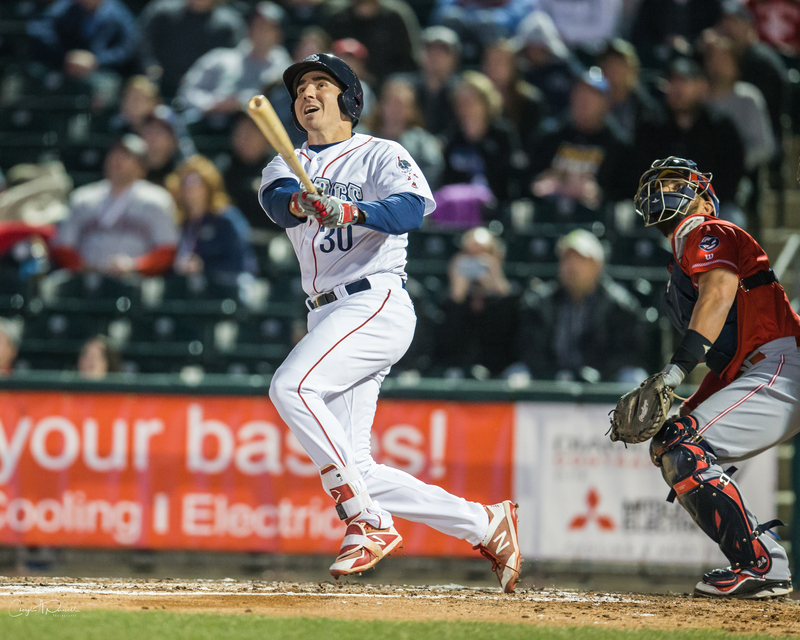 Minor league veteran Danny Ortiz doesn’t have gaudy numbers, but always seems to be a spark plug during any big inning and did get a taste of the majors last season in Pittsburgh. Potential For Growth: With the potential return of Cozens and/or Quinn, this unit could be more interesting as the season moves into the second half. Still, they guys who are here are prepared to contribute every day. Both Quinn and Cozens are on the 40-man roster and could easily contribute support in Philadelphia, as well. As with the infield, there doesn’t seem to be any immediate help coming from Reading. Rating: HOLD I’m not giving away anything in my outfield, and I’m holding my position hoping Roman Quinn can come back healthy and Dylan Cozens can cut down on the K’s. Performance: There have been some hiccups. The normally reliable–and franchise saves leader–Pedro Beato has blown a game or two. There have been some inconsistencies as some guys come and go. Then again, you have Brandon Leibrandt who contributed a ton of scoreless innings, and a lefty like Tom Windle who worked his way out of a Beato-induced jam the other day to lock down a nice win for his team. Seranthony Dominguez passed through on his way to Philadelphia. Curtis and Milner came back from Philly, as Hector Neris also joins for a time to try to get his mojo back. Austin Davis was called to the majors for his debut. As a reliever, Jake Thompson has had his slider working like crazy on many nights. He’s been a positive for this squad. Looking at the overall pitching numbers above, the relievers have contributed to that success, as well as ranking second in the IL in saves and 25-18 in games decided by three runs or less. Potential for Growth: As the Phillies bullpen issues get ironed out, players could be coming and going from this crew on a daily or weekly basis. Some will be highly motivated to return to the big leagues–some may no longer be capable. We’ll live through the slings and arrows of those scenarios, but in most instances we should have talented and capable arms who can contribute on both levels. It’s difficult to say whether a player or two could be coming from Reading. They’ve had a couple relievers throwing very well at times–but other times some inconsistencies, just like the top two levels. Edgar Garcia and Jeff Singer are the top names on my list, but if a starter at either level gets converted, then we’ll get to see how that plays out as well. Rating: HOLD I’ll ride with the guys we have. For every failing we’ll have a couple successes and overall things should be just fine despite the predicted turmoil which will likely flow through from the big club. Performance: Logan Moore and Nick Rickles have mostly alternated at backstop. They’ve called good games, leading to the success of the pitchers as listed above. In addition, while Rickles has thrown out his share of would-be base stealers, Moore’s stats have been off the chart: He’s thrown out an astounding 57% of potential thieves. At the plate, Rickles has been the better hitter, but we know LoMo, and just like in previous seasons, he seems to have a knack for coming through at the plate when it matters most. Matt McBride has seen limited time behind the plate, but has also done well. 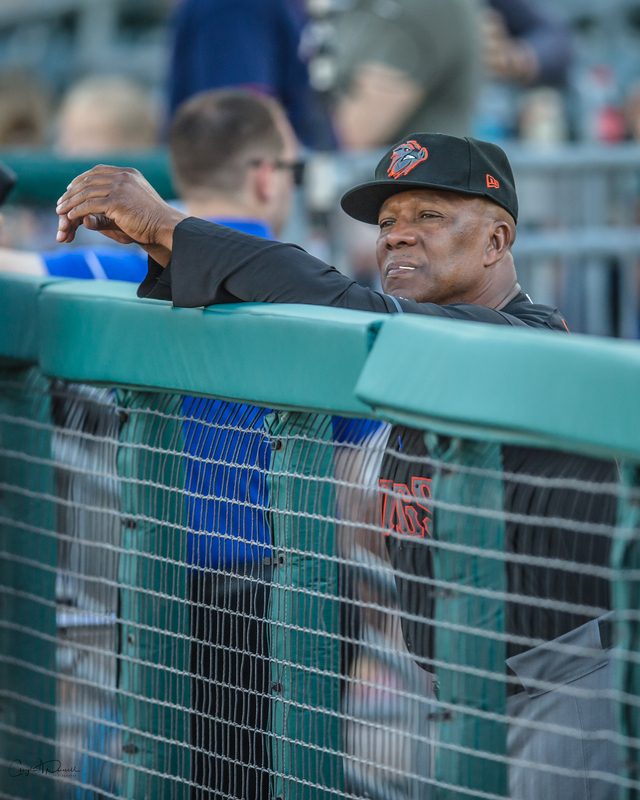 I’d prefer to see his bat in the lineup at 1B or DH–but the presence of a third experienced catcher allows manager Gary Jones some flexibility with his lineups and substitutions. Potential For Growth: Neither Moore nor Rickles has any major league experience. Both had good games in spring training, though, and should Knapp or Alfaro get injured in Philadelphia each could be considered. Moore has the advantage defensively, Rickles offensively. Matt McBride has MLB experience. 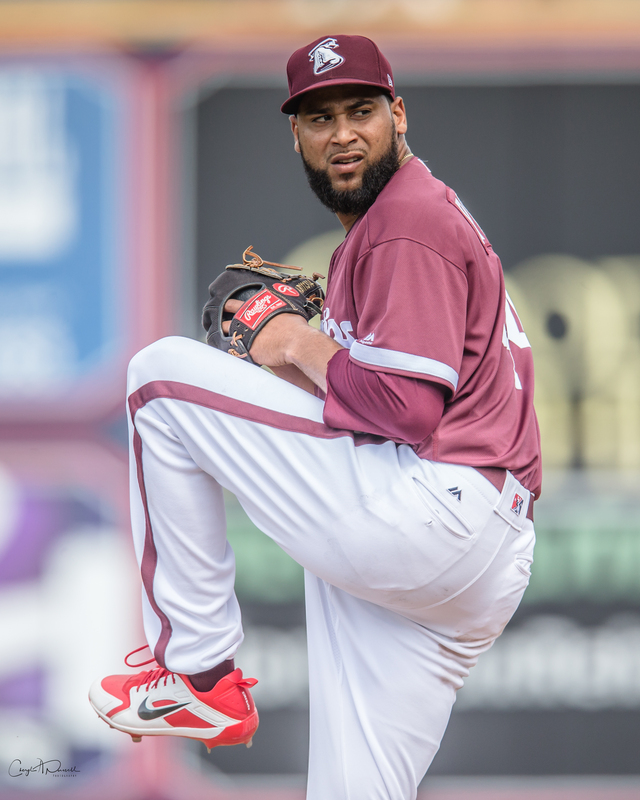 In Reading, “former” prospect Deivi Grullon has the big arm, but will struggle at times to block pitches in the dirt–particularly to his right. But he’s only 22, has 10 HRs and is batting .256 after a slow start. Penn product Austin Bossart is the other backstop in Reading. He’ll turn 25 on Independence Day. While he had some difficulty throwing out base thieves early on, he’s been better lately. He’s also hitting .308 with 5 HRs, and the pitching splits favor him strongly in his handling of the young Reading staff. Both are possibilities to come to the IronPigs if need should arise–and certainly next season. 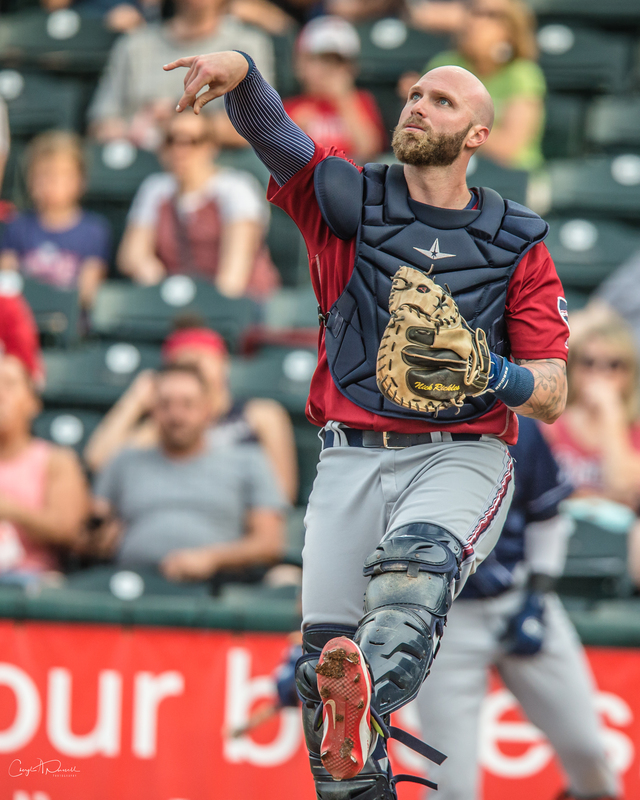 If the Phillies decided to add a veteran catcher from outside the organization, Andrew Knapp could possibly return via option and contribute here. Rating: BUY I’m adding shares of IronPigs catchers because I think regardless of what might happen at the major- or minor-league levels over the second half, we’ll have strong offensive and defensive production from behind the dish. Performance: Already, we’ve seen players come off the bench and become full-time contributors to the IronPigs when players like Will Middlebrooks and Roman Quinn and Alexi Amarista have been injured–or guys like Mitch Walding, Jesse Valentin, or Dylan Cozens have been called to the majors. Heiker Meneses is in Reading right now and played good defense when he was in town. The catchers have been good on an alternating basis. Rating: BUY I’m buying the depth of this club going forward into the second half of the season–albeit cautiously. Potential For Growth: One of the reasons I’m confident in the pitching staff is that if players do get promoted from the Reading rotation perhaps before they’re completely ready, I feel like this coaching staff will get them ready to play and compete at AAA. I also feel like Jones has been able to provide an environment where the players with MLB experience feel comfortable and respected. Rating: STRONG BUY I’ve been a big fan of Gary Jones and his staff thus far. Give me more shares of this. 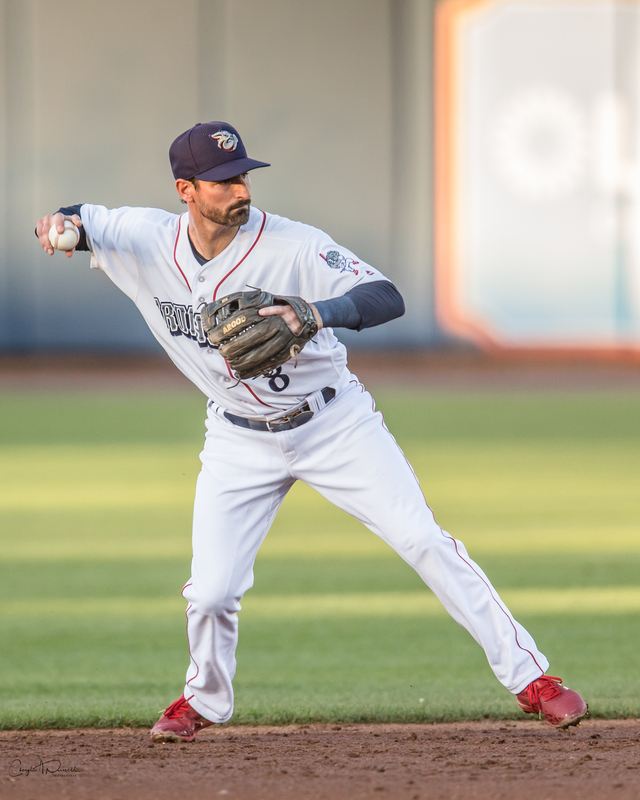 The IronPigs don’t have a tremendous lead in the always-difficult IL North, and the RailRiders are now looming as they get hot headed into the second half. In addition, the three kids in New Hampshire–Vlad Jr, Biggio, Bichette–could join Buffalo and change the race later in the summer. I think the IronPigs will be able to compete, but I’m not ready to put money down on the playoff package just yet. This could be a tough one, and for once in a few years, we finish on the road. Once we get into the dog day doldrums, should the bats go limp and the pitching get overly shuffled, we could see a swoon. Hopefully not, as this has been a fun season to watch so far. Stay tuned.